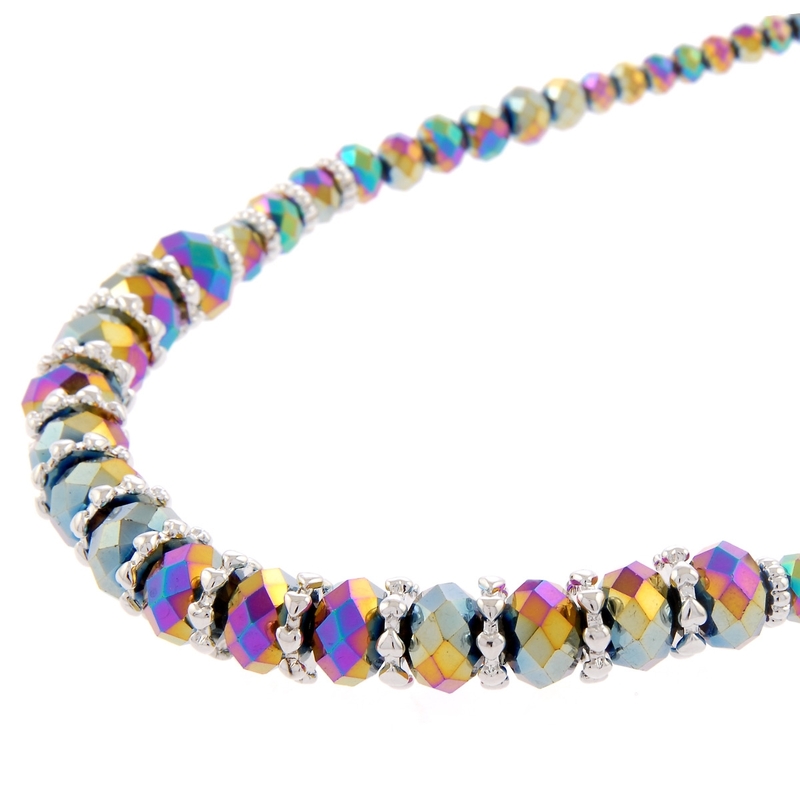 A bright multicolored strand of stunning rainbow beads mixed with rich rhodium detailing, this neckpiece is guaranteed to provide eye-catching allure! 20" neckpiece plus extension. Lead and nickel free jewellery. 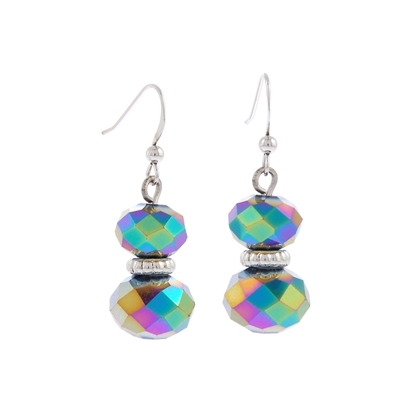 Bright multicolored rainbow beads mixed with rich rhodium detailing, these earrings are guaranteed to provide eye-catching allure! Sterling silver hooks. Lead and nickel free jewellery. 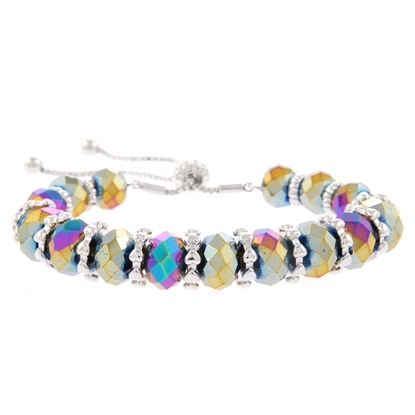 A bright multicolored strand of stunning rainbow beads mixed with rich rhodium detailing, featuring a drawstring closure, this bracelet is guaranteed to provide eye-catching allure! 7" bracelet plus extension. 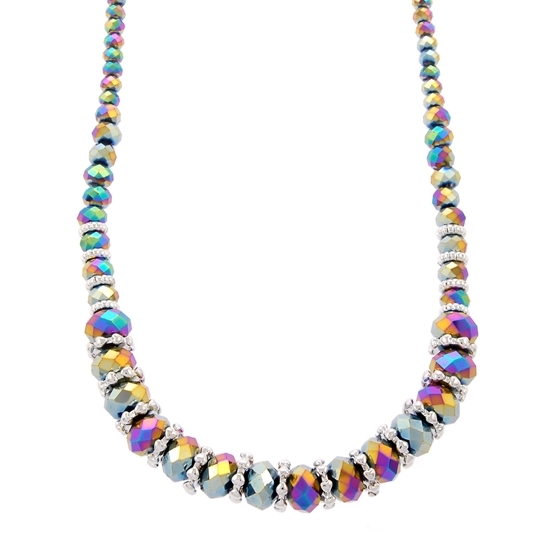 Lead and nickel free jewellery.